If you love the flavors that a stuffed pepper brings but don’t want the hassle, you have to try these Instant Pot Unstuffed Peppers. 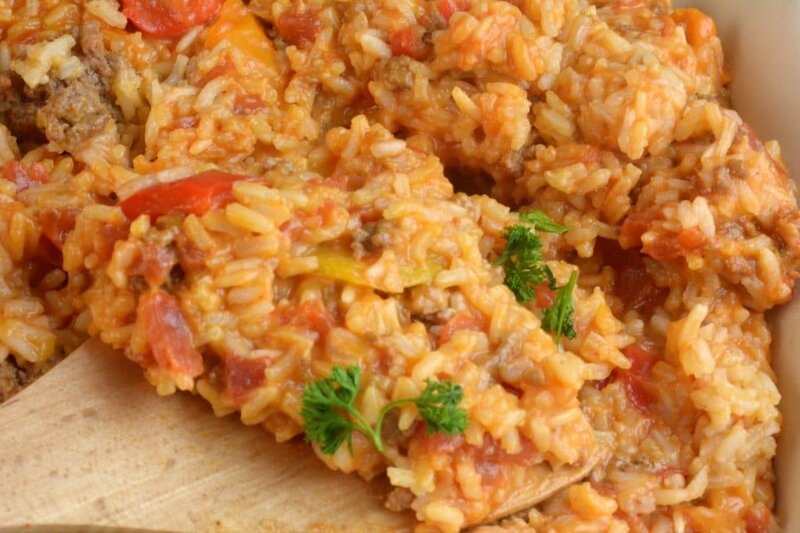 You get all the savory flavors from a traditional stuffed pepper recipe, but you don’t have the hassle of cooking the meat and rice mixture separate, stuffing peppers, then tossing in the oven. Instant Pot UnStuffed Peppers recipe is a one-pot dish that can be made in your magical Instant Pot in 12 minutes. A hassle-free unstuffed peppers recipe that is delectable. My secret to these unstuffed peppers is the two types of meat. I use ground beef as well as hot sausage. It adds a whole new element to the dish and even a little kick of heat. Now, if you think, I don’t like spicy food, use mild sausage, or just cut the sausage all together and double the ground beef. The beauty of cooking dishes like this is you can tweak it to fit your taste buds. You are not locked to strict ingredients or measurements like you are when you bake. When you are at the grocery store picking peppers, try to remember this tip. The bottom part of the pepper has a handful of lobes. Most generally you will see three or four lobes on the pepper. The number of lobes on the bottom will help you know if it will be sweeter in flavor and best for eating raw, or milder in flavor and best for cooking. Bell peppers that have just three lobes are great for cooking. They don’t have as many seeds and are not as sweet in flavor. Four lobe bell peppers are generally best to be sliced up and eaten raw in say a salad, or dipping in some hummus. I find this tip to be pretty helpful and I love that I can look at the bottom of the pepper to pick which one will work best in the recipe I am using. As for the colors of peppers you need to use for this recipe, you can use any, red, yellow, orange or green. Or if you are like me, you might add a variety of peppers into the unstuffed peppers. I love how the peppers not only add a level of flavor but also color to the dish. 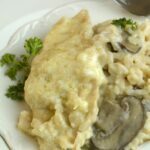 If you love this Rice Dish you will also love My One-Pot Asiago Chicken and Risotto, Cracked Up Chicken and rice casserole, Or Fire Hot taco bowls. 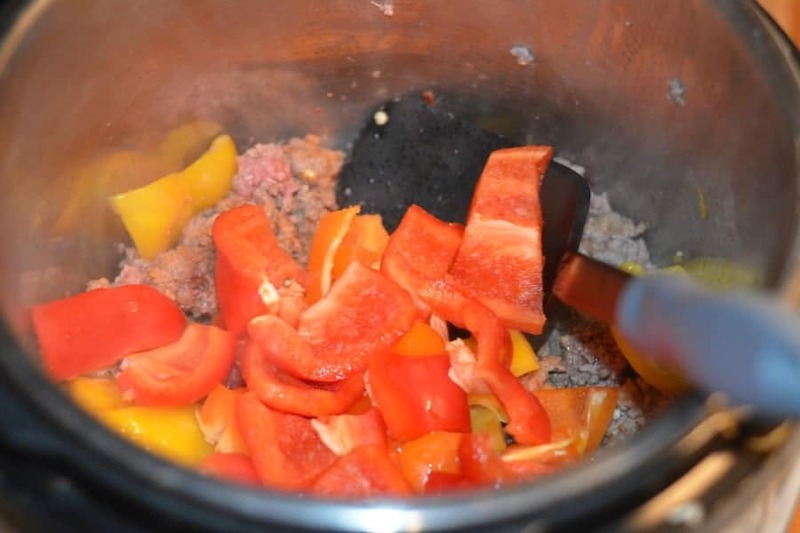 Instant Pot UnStuffed Peppers recipe is a one-pot dish that can be made in your magical Instant Pot in 12 minutes. A hassle-free unstuffed peppers recipe that is delectable. 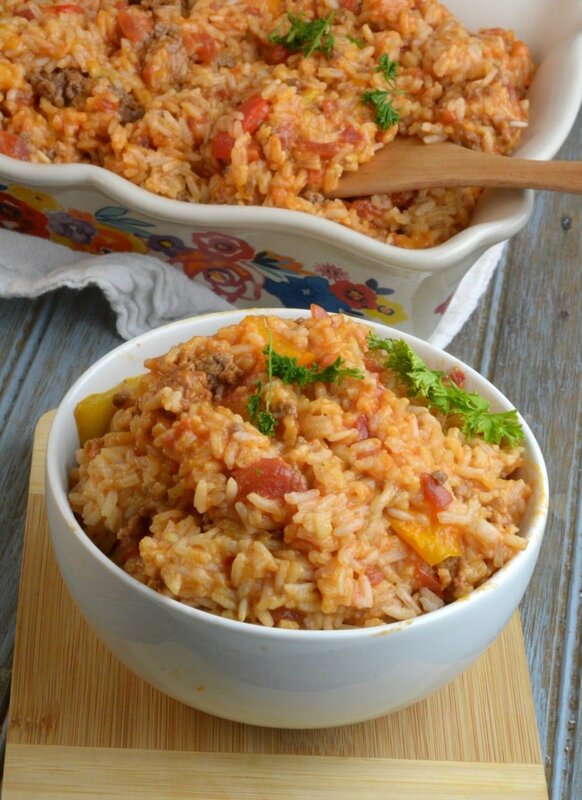 Pour in chopped tomatoes, rice, peppers, onion, beef broth, and tomato puree. These look wonderful! I love stuffed peppers so these would be delicious too! Do you use fresh tomatoes or canned? I’ve made with canned and also with fresh. It turns out well both ways. I’m guessing not enough liquid. That was my question looking at this recipe. Normally, you need a cup of liquid to reach pressure. Add water? The rice would need it, anyway? 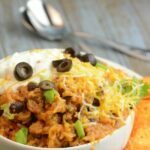 Have you tried this with brown rice? Wondering how I would adjust cook time for brown instead of whiwhite rice. Did you try it with brown rice? I was wondering the same thing. I would like to use brown rice as well. Did it work? Is tomato puree the same as tomato paste? Do you drain the grease from the hamburger / sausage? Try to cut most recipes in half and don’t change the cooking time. Usually works well. Otherwise I haven’t found one good source. Eventually I bought the 6 quart and I still use the 3 quart for rice, applesauce, steel cut oats and small things. Hope that helps. Do you have instructions for a crock pot? I received the burn notice. Rice tends to sink to the bottom so I wasn’t that surprised when this happened. I transferred to my enamel cast iron pot to finish. 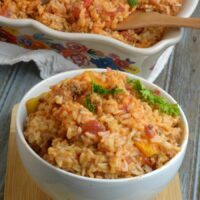 Did you use a quick cook rice or regular rice? 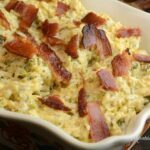 This recipe was a hit the first time I made it and has made its way onto our family favorite recipe list. Even my picky husband who doesn’t like stuffed peppers likes this one.